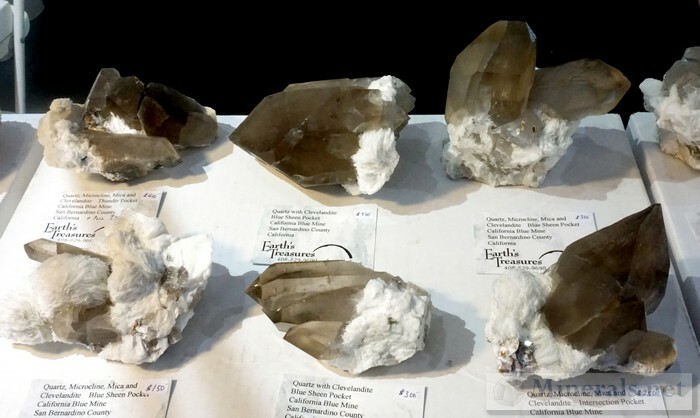 Our final two posts on the 2017 The Tucson Gem & Mineral Show® features some of the interesting or new minerals being sold by dealers that we found while walking along the show floor. 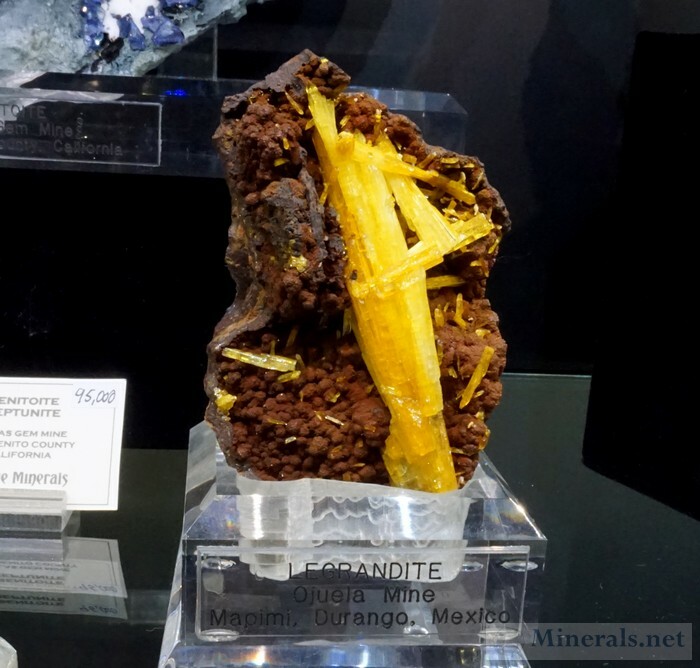 This is our last post of the 2017 The Tucson Gem & Mineral Show®. 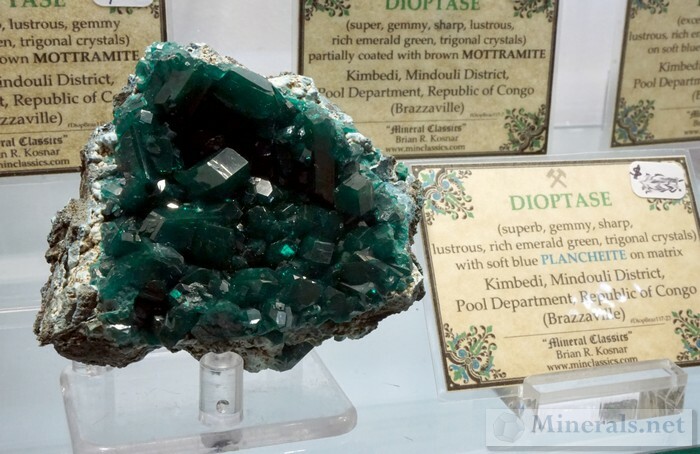 The post is a continuation of photos of the dealer minerals seen on the show floor. 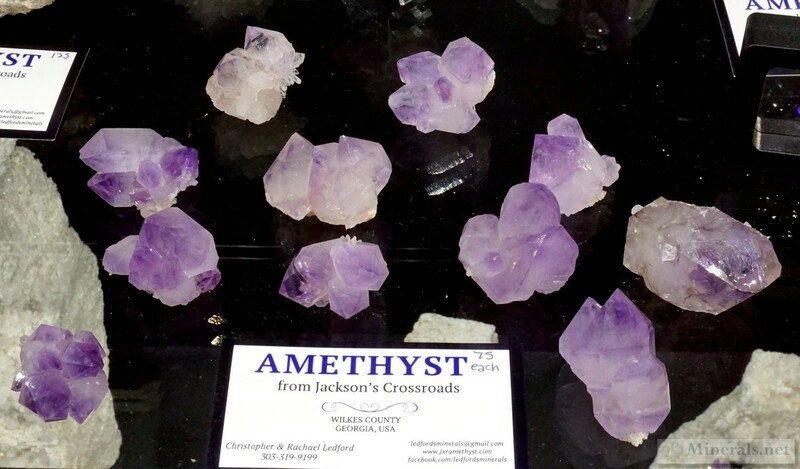 Please stay tuned until next year's Tucson show reports! 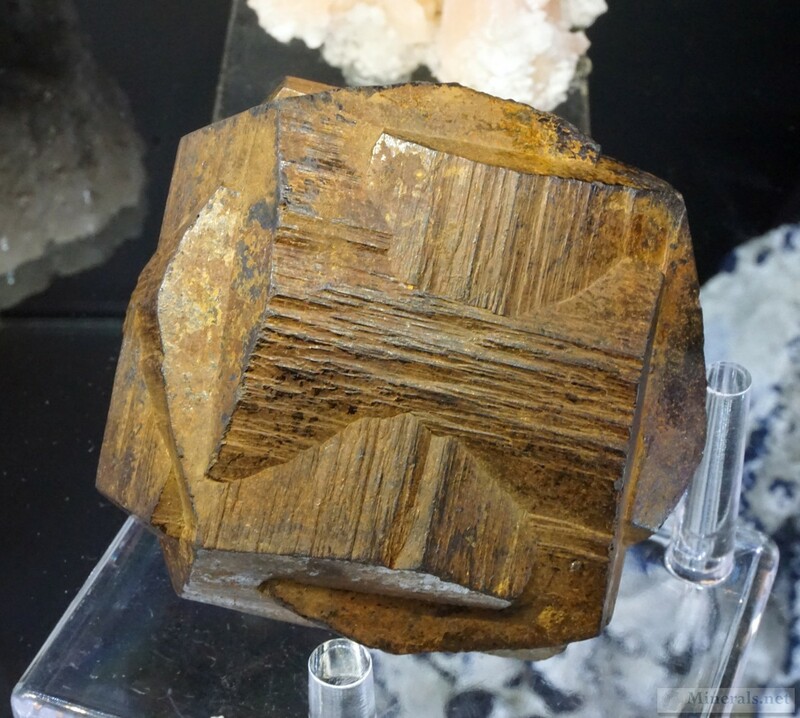 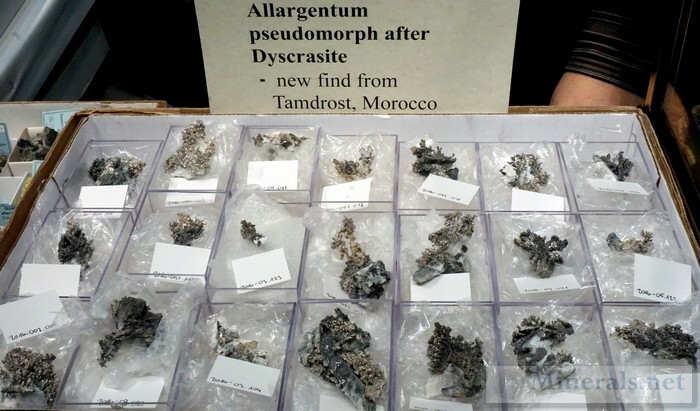 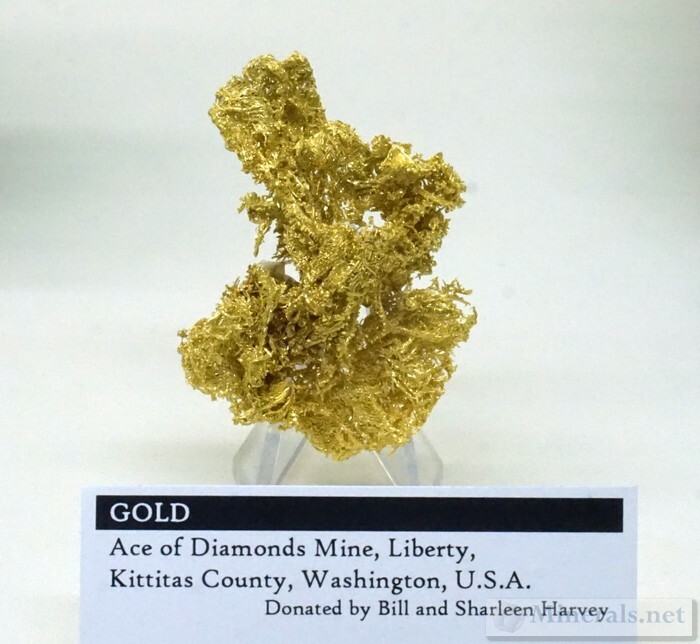 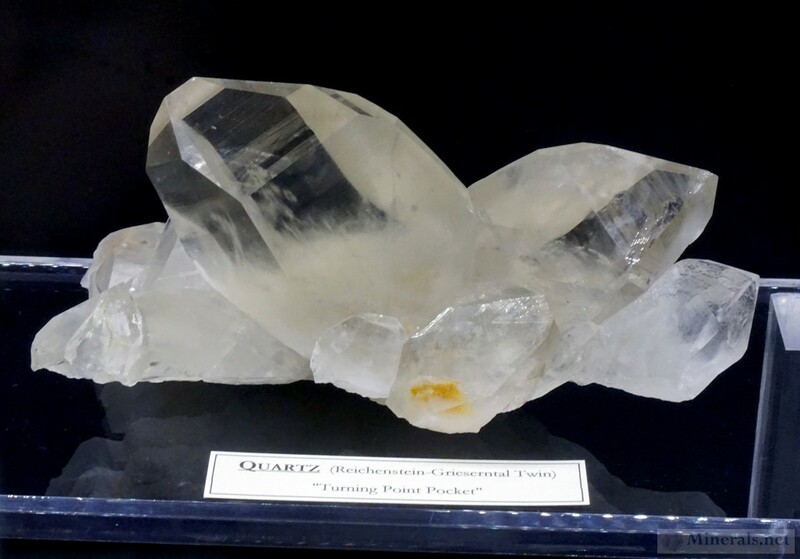 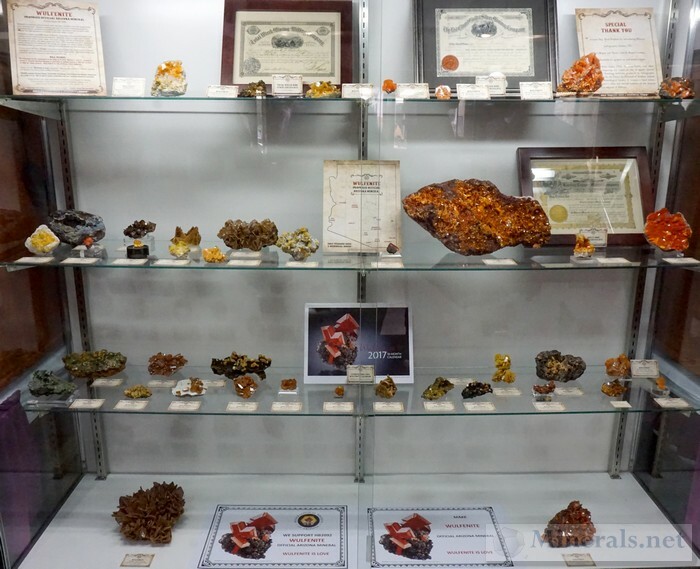 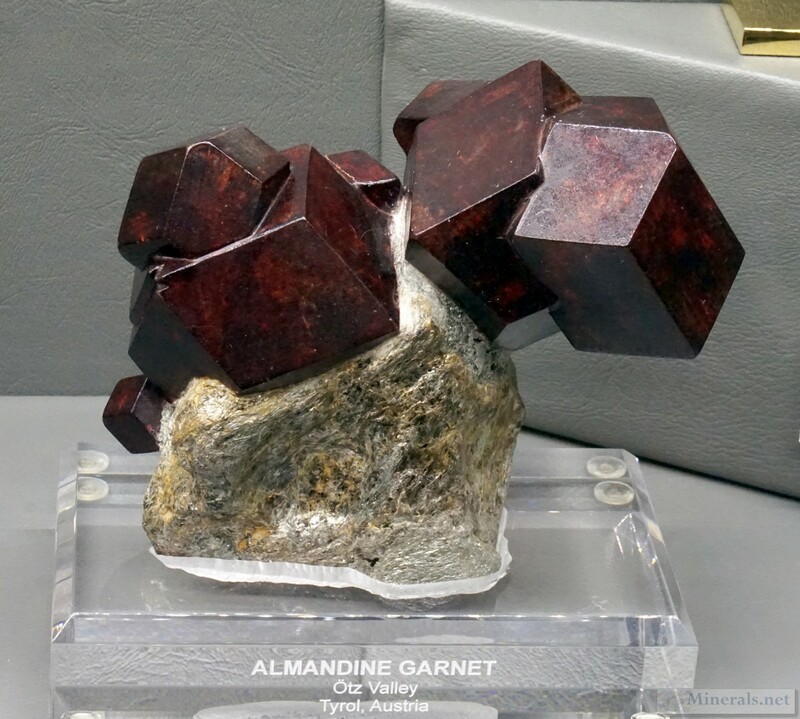 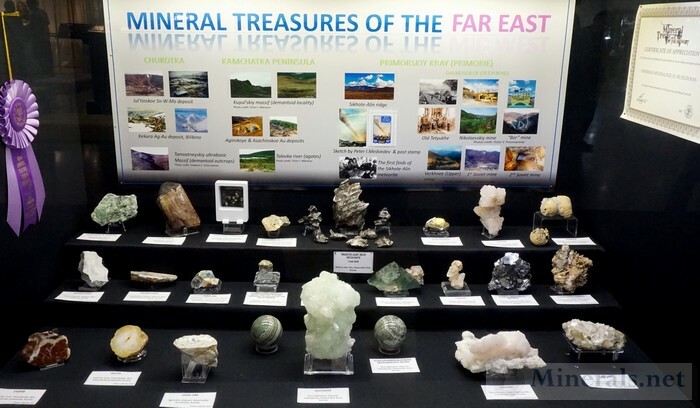 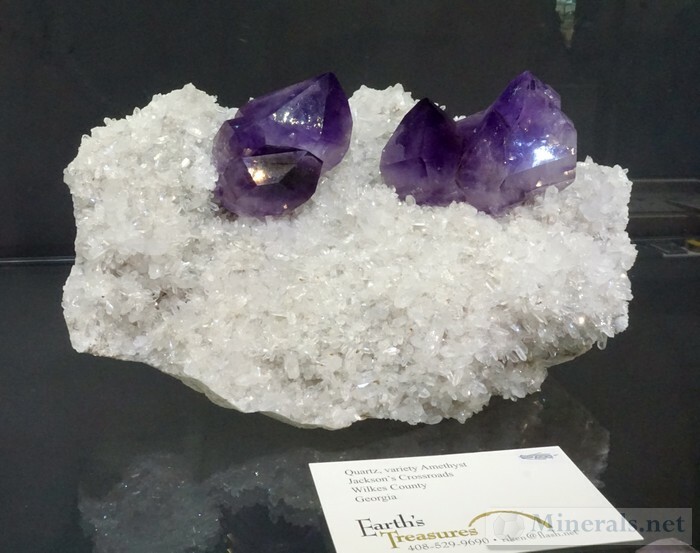 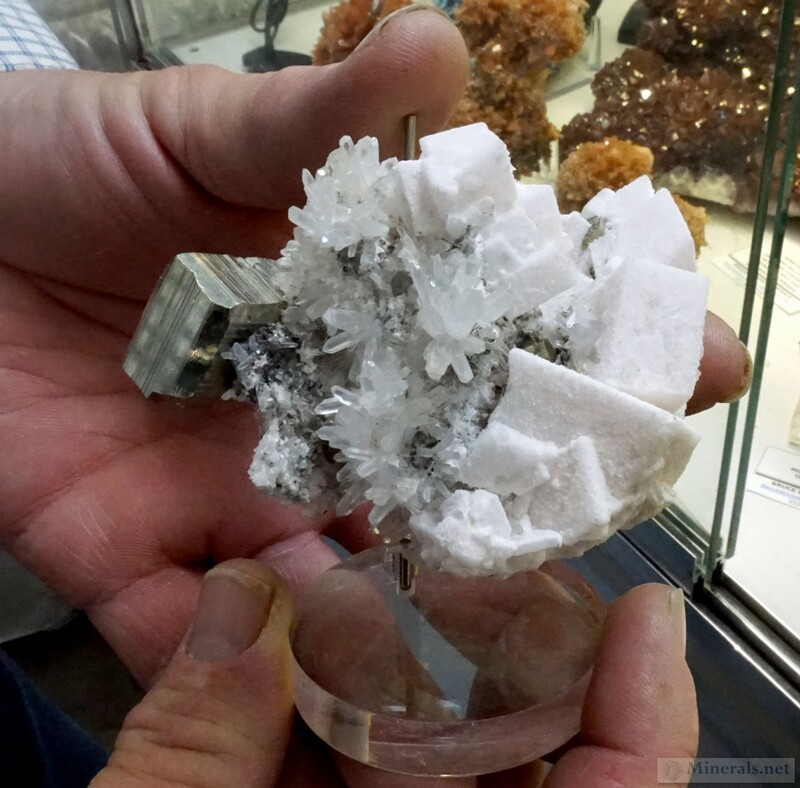 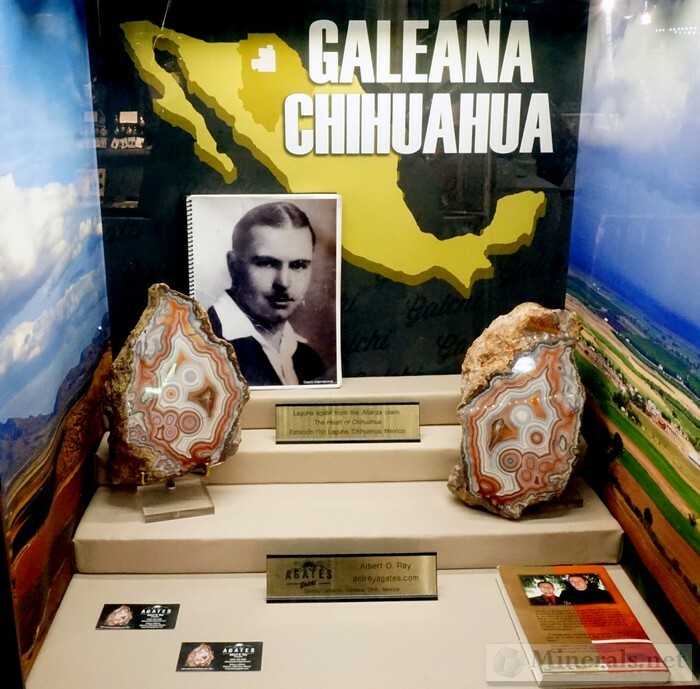 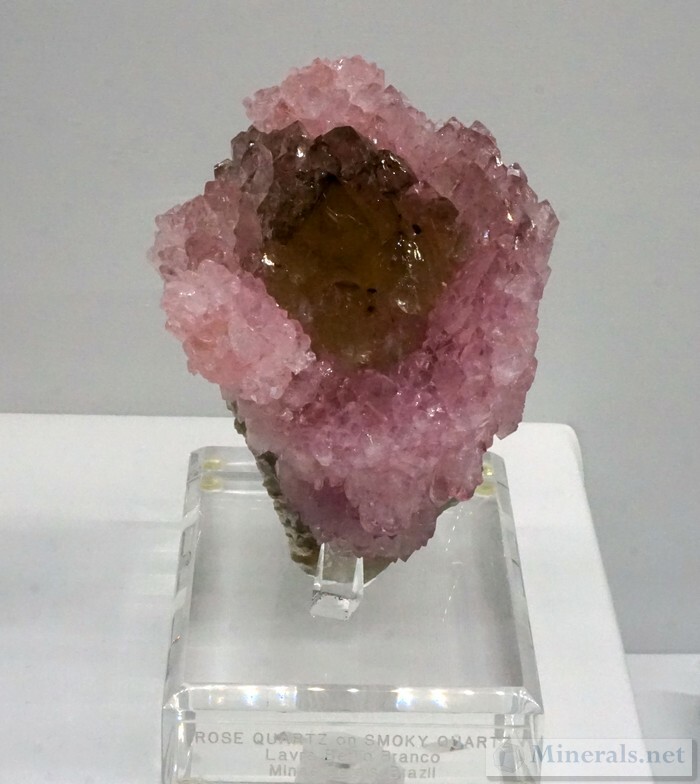 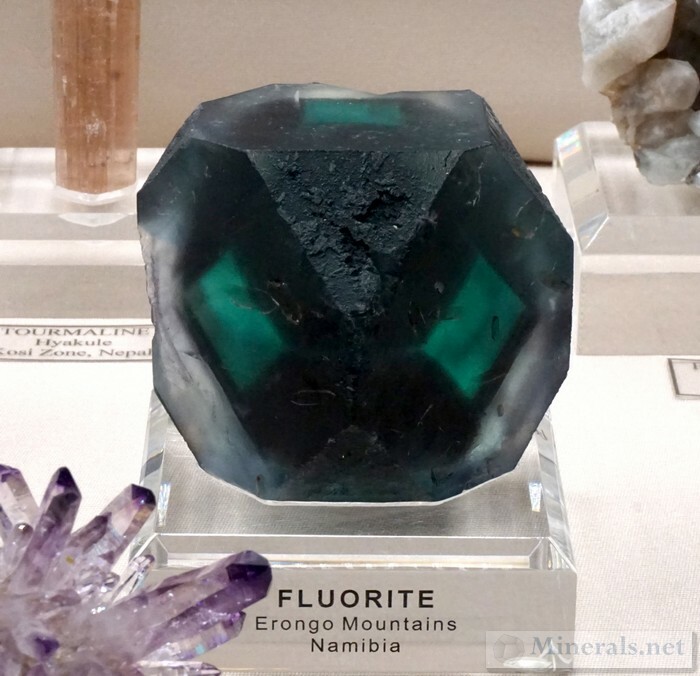 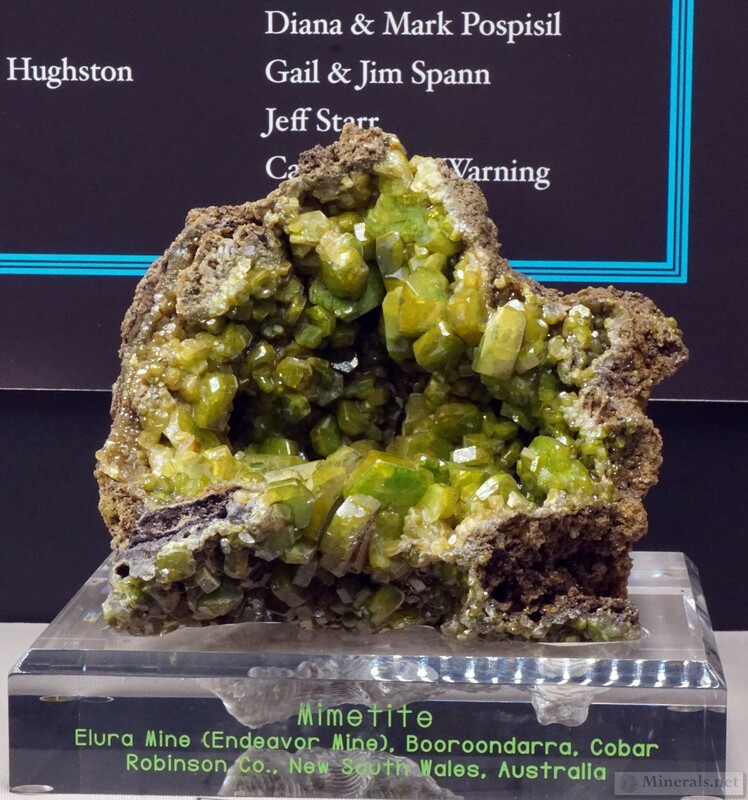 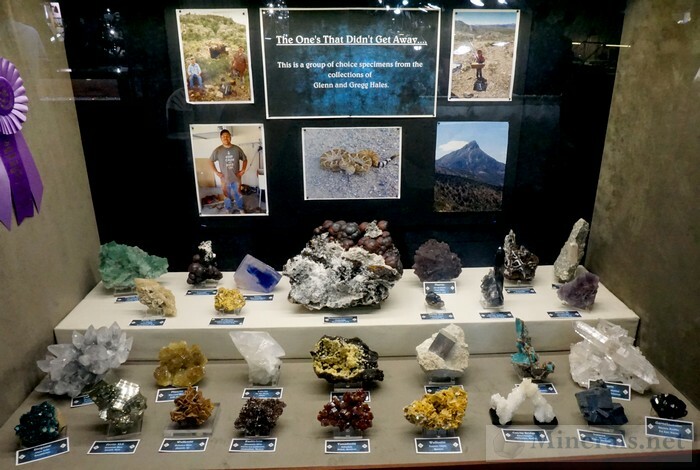 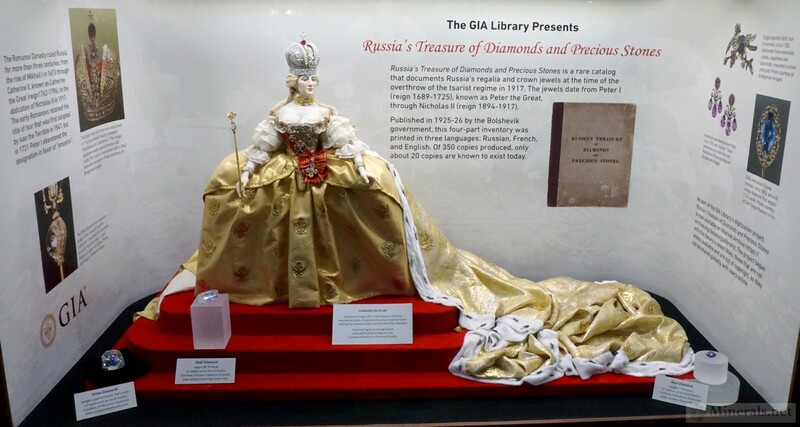 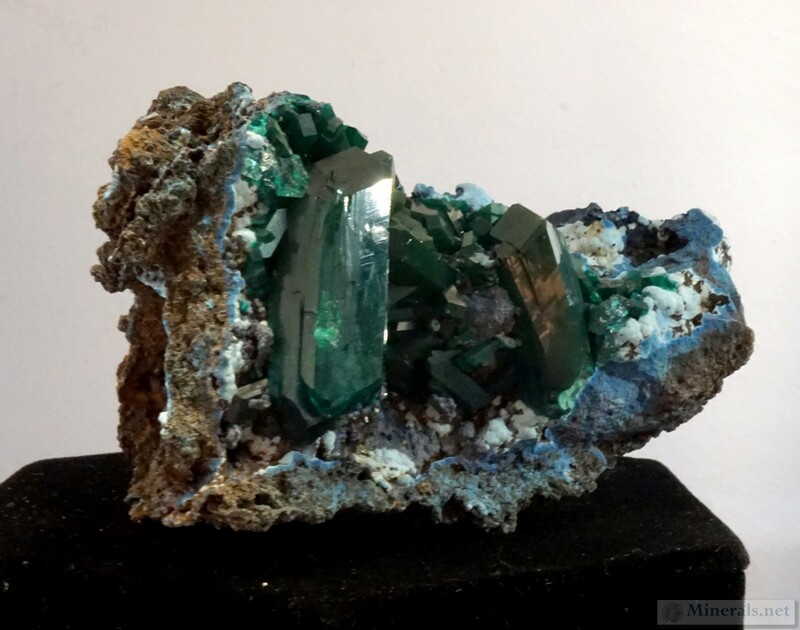 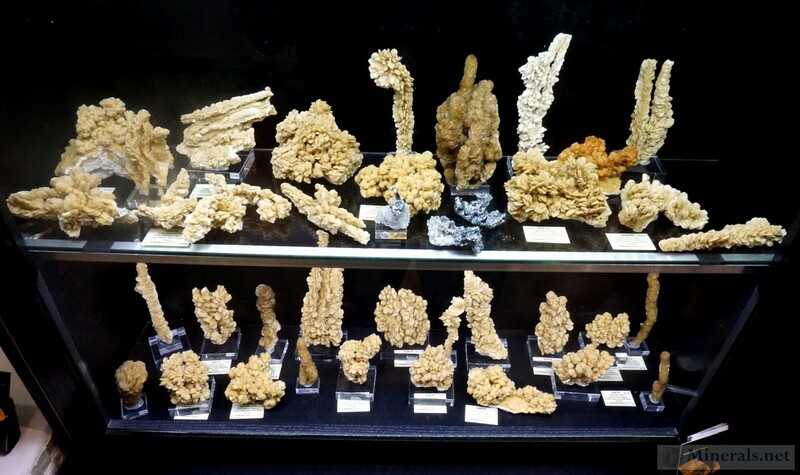 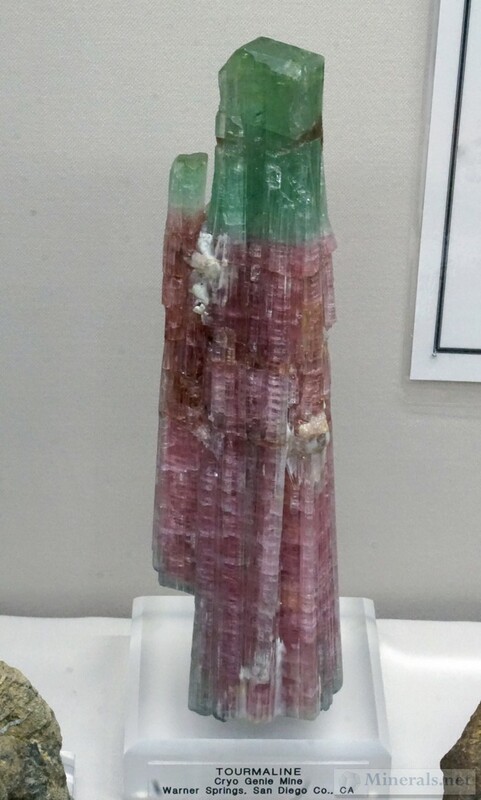 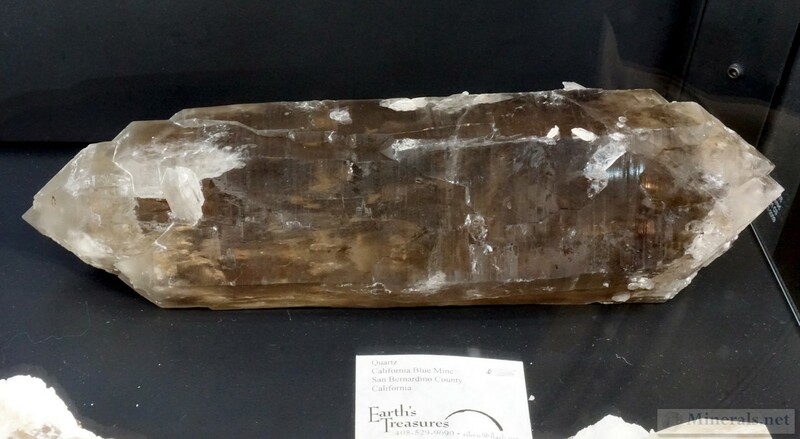 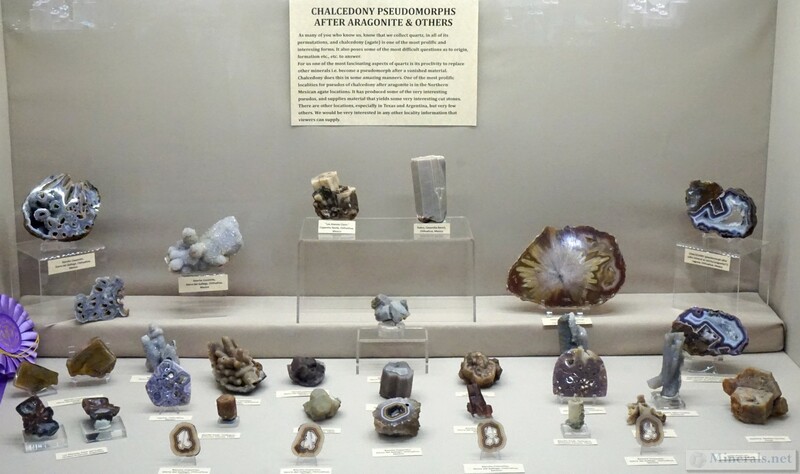 This next post on the The Tucson Gem & Mineral Show® features some of the individual mineral specimens exhibited at the show that were not part of the "Mineral Treasures of the Midwest" theme. 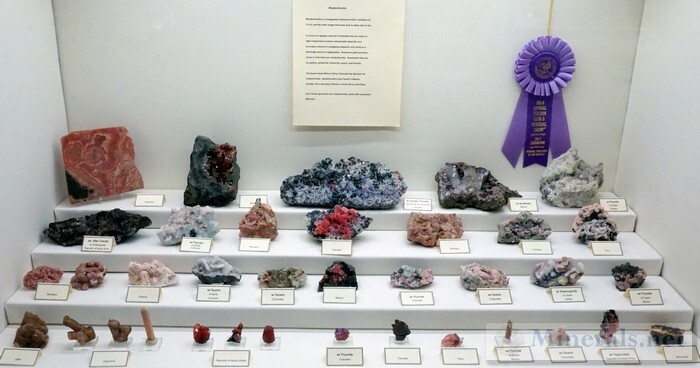 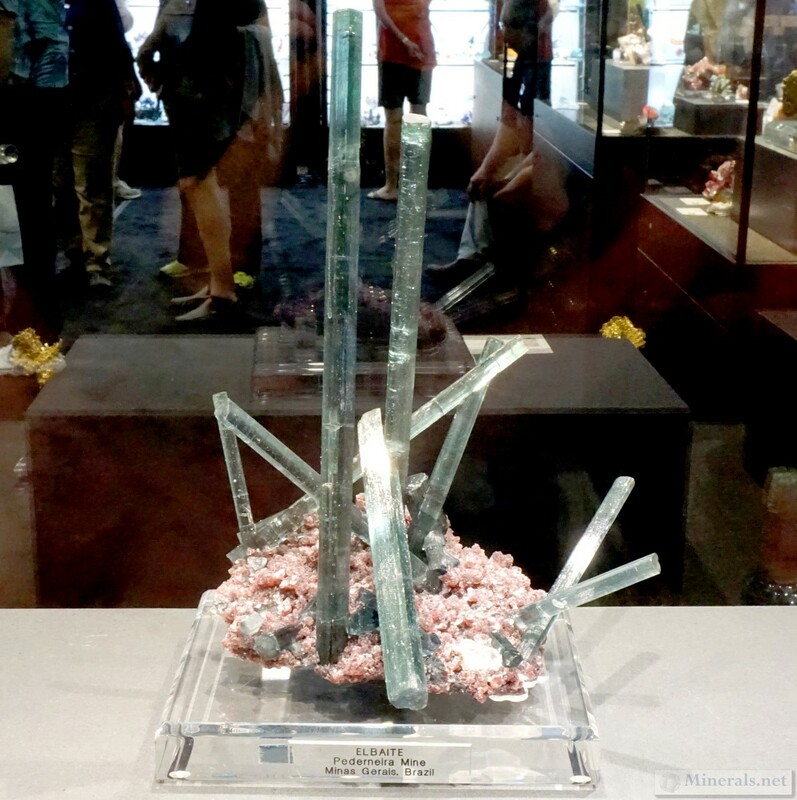 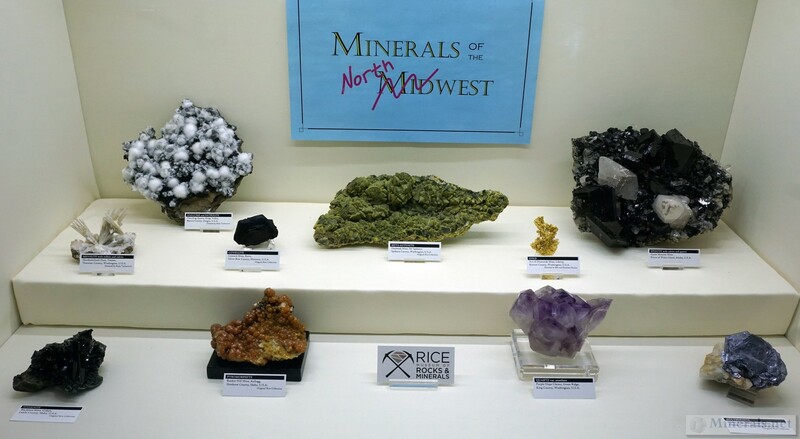 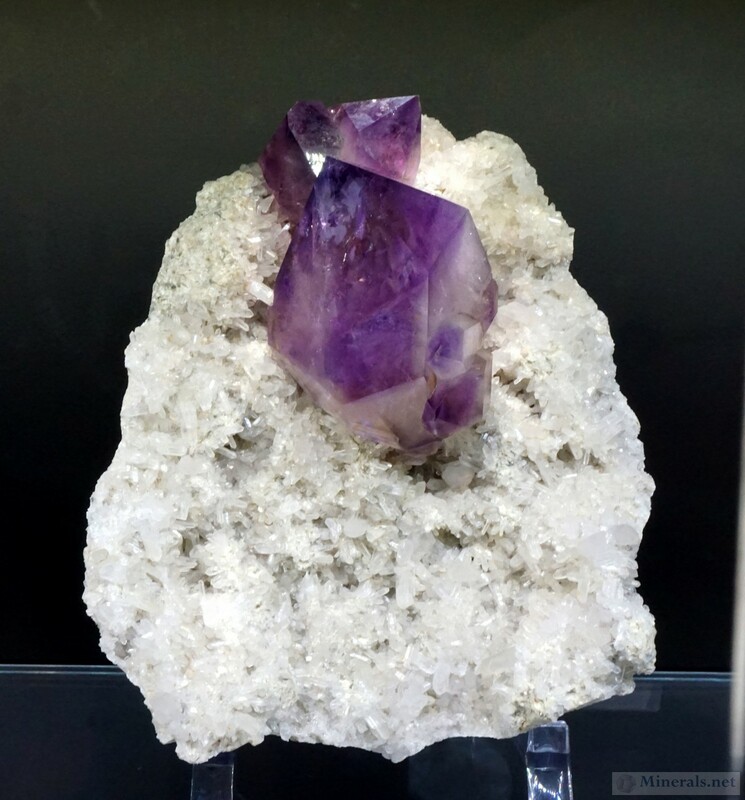 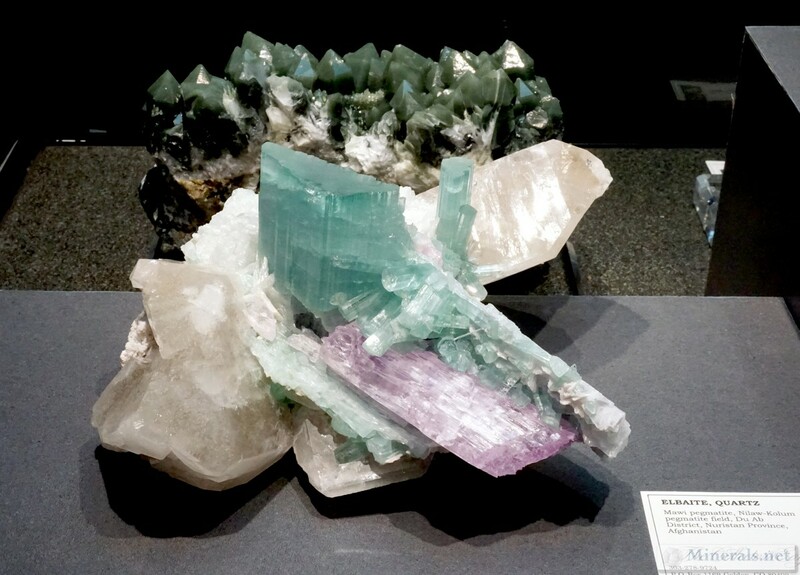 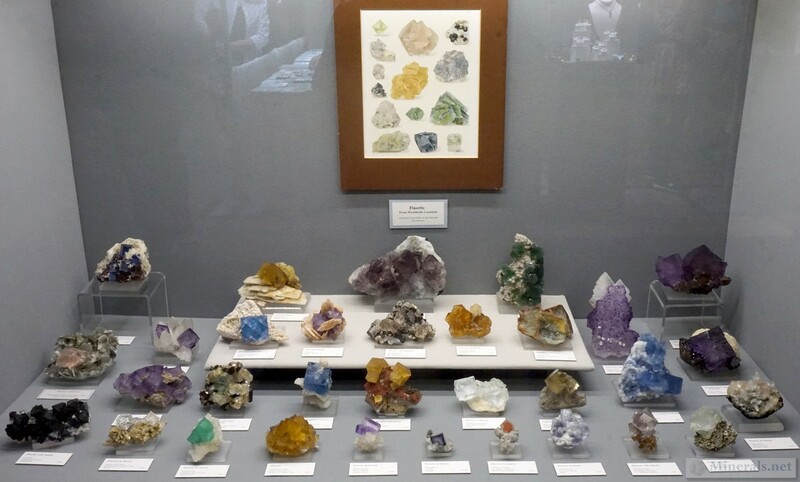 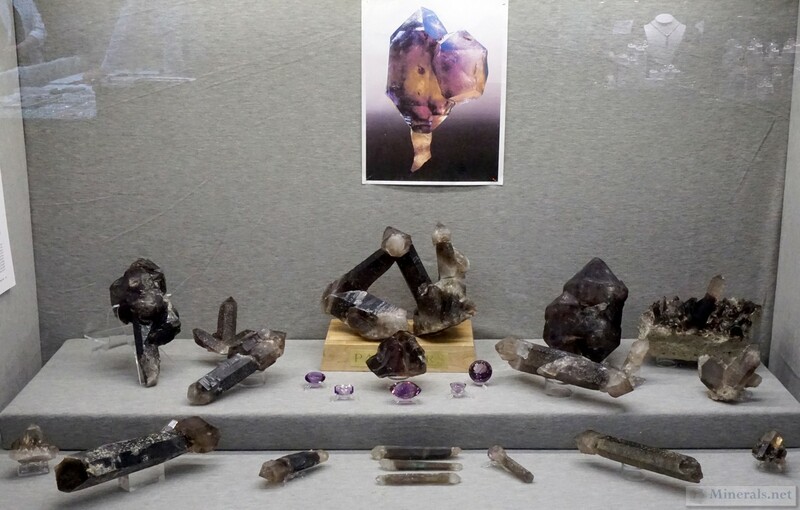 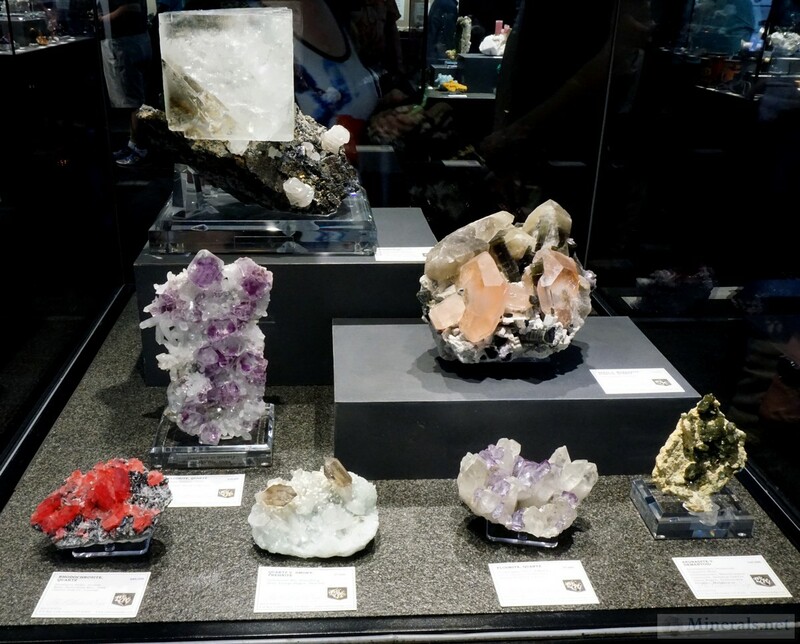 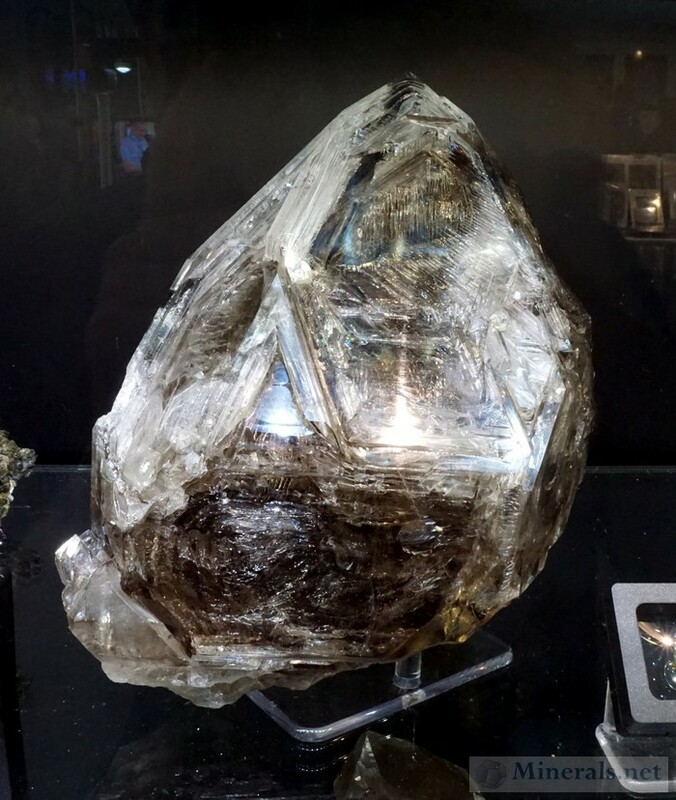 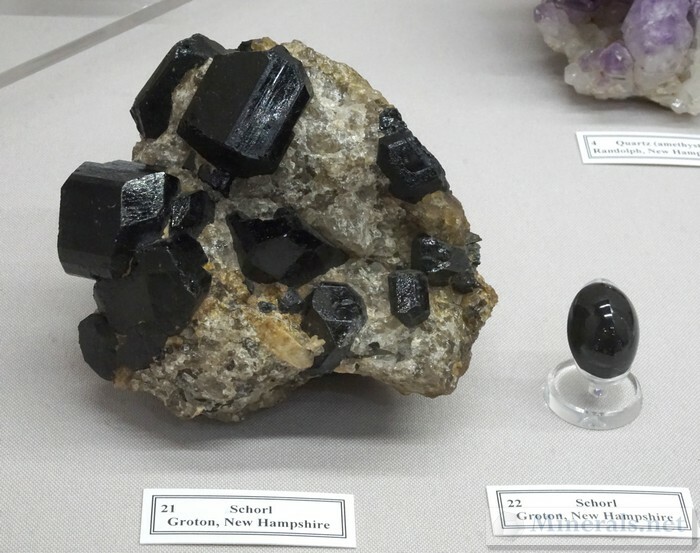 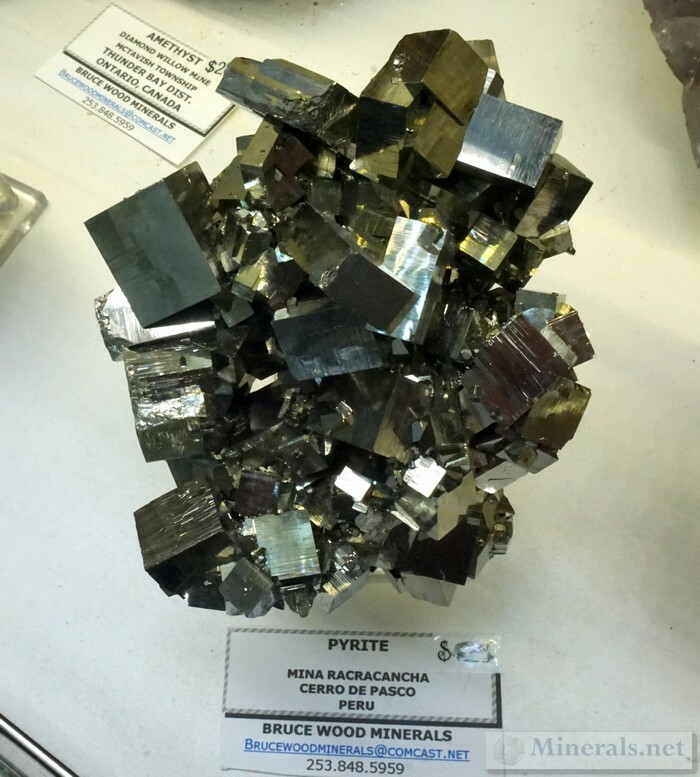 This selection includes minerals on public exhibit that were interesting for a variety of reasons, including aesthetics, rarity, or unique formation. 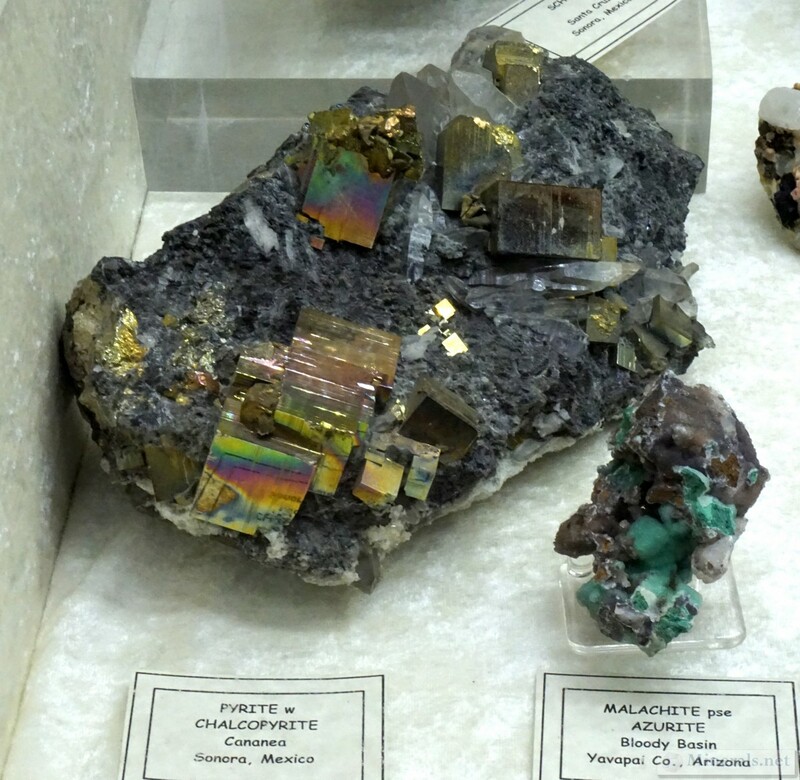 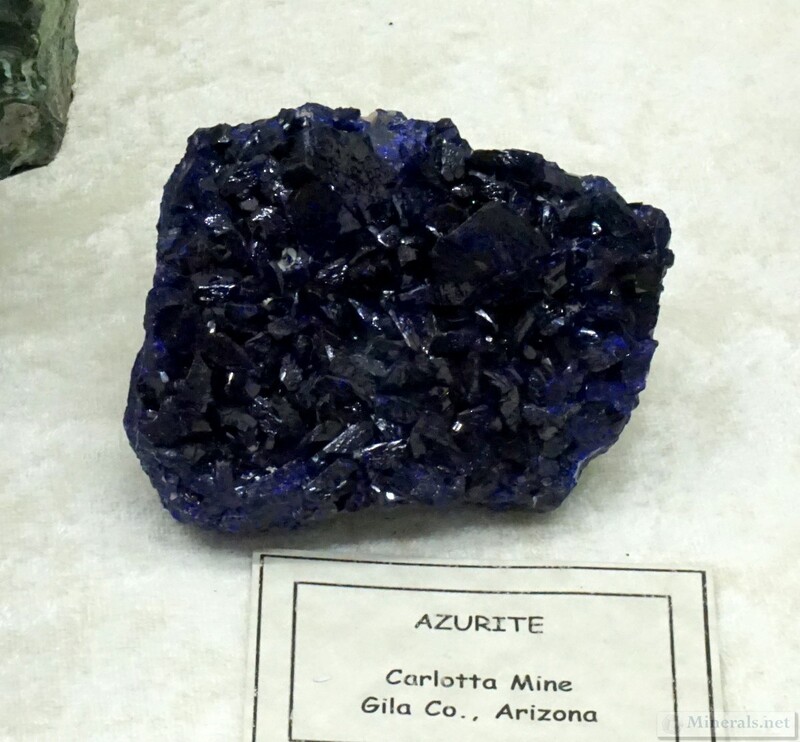 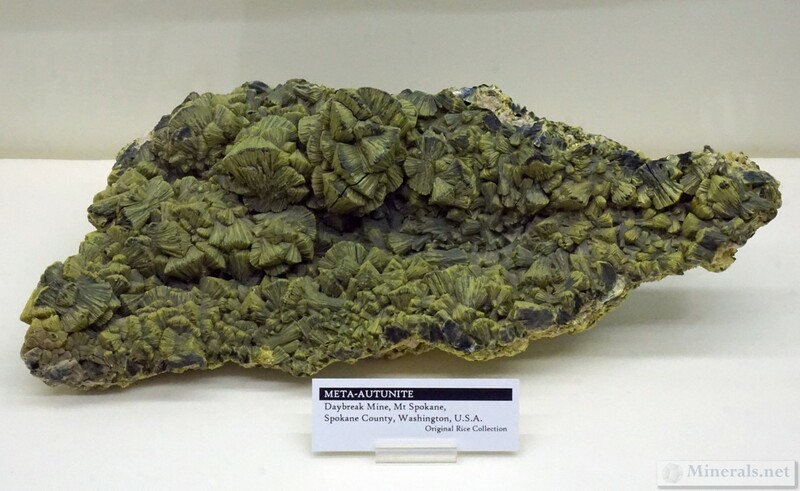 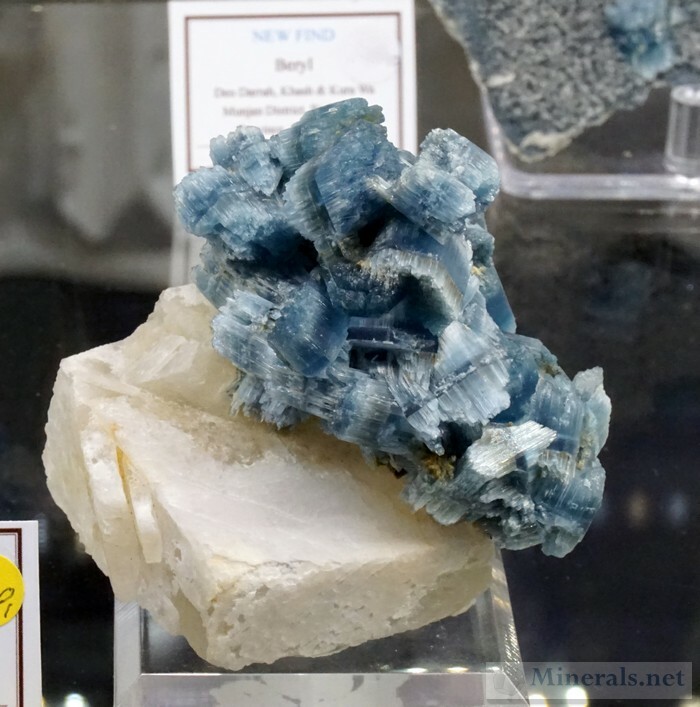 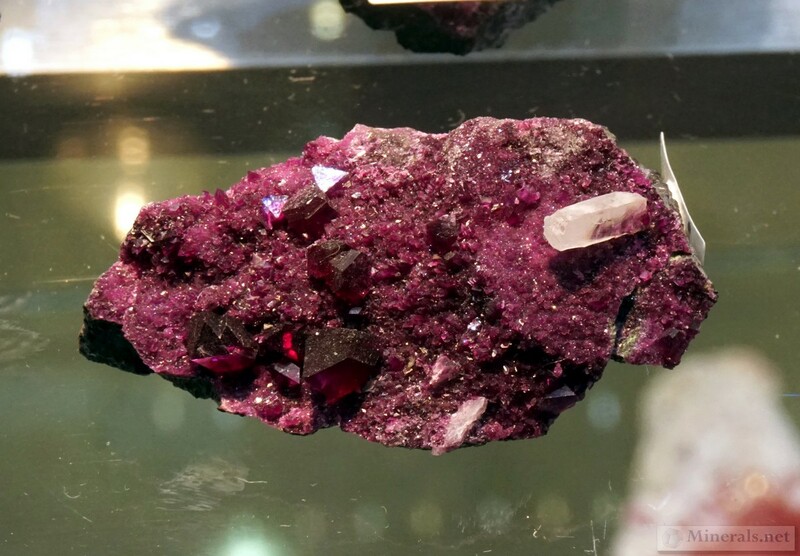 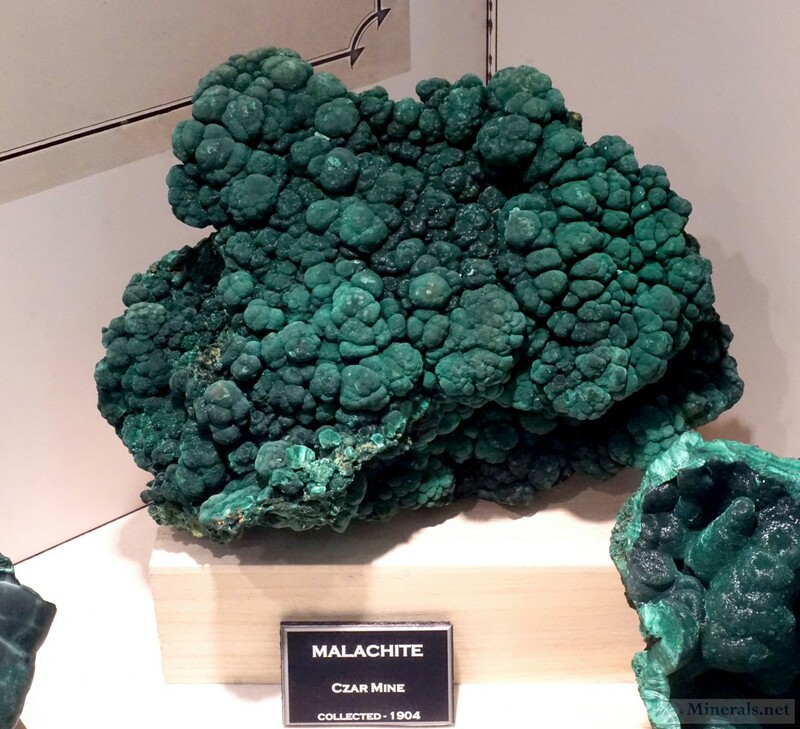 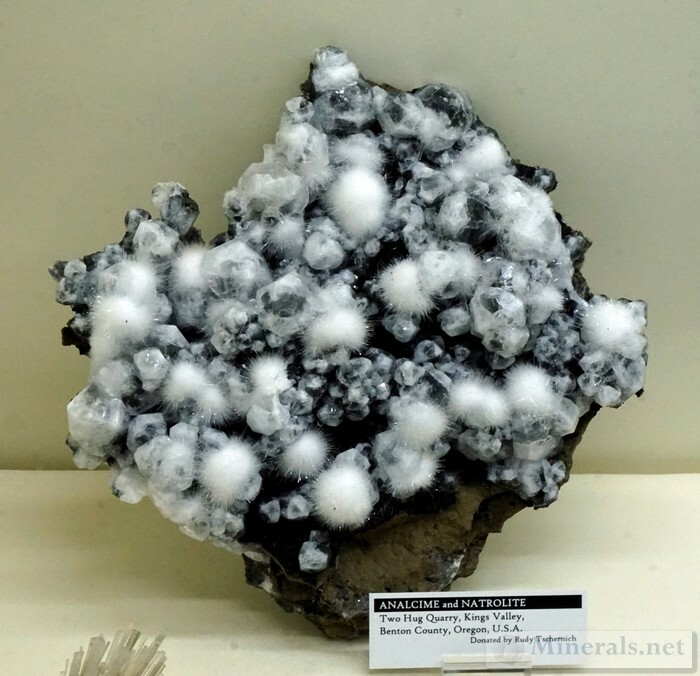 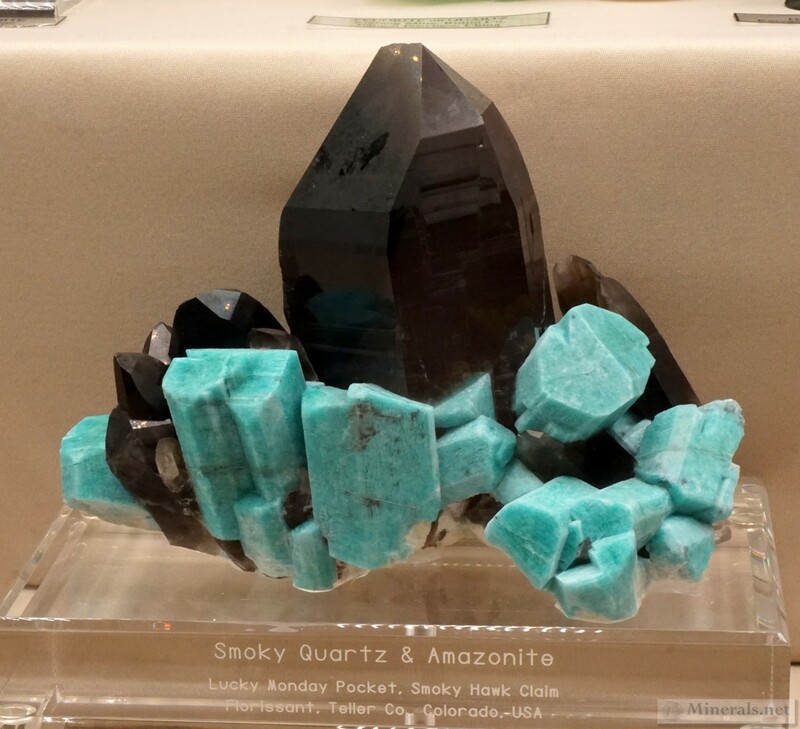 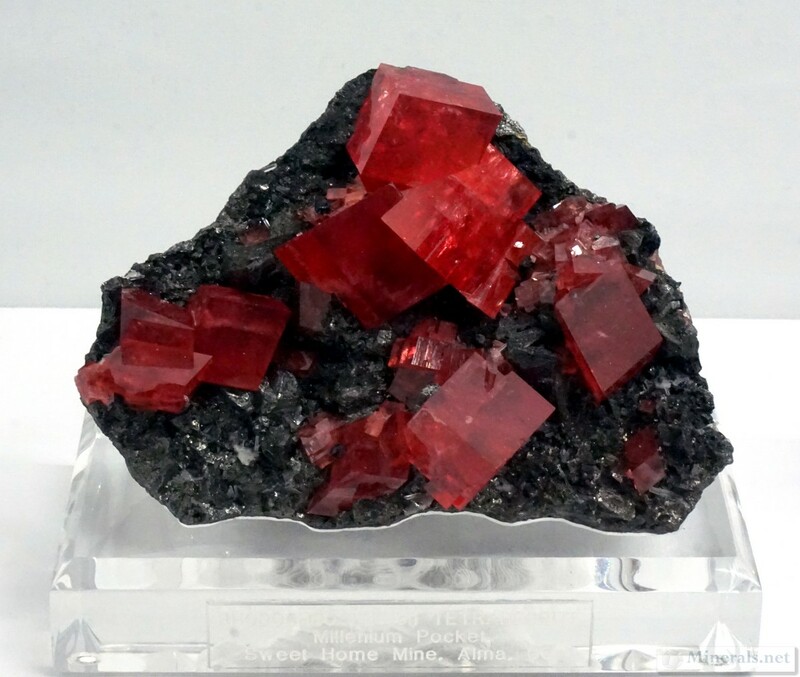 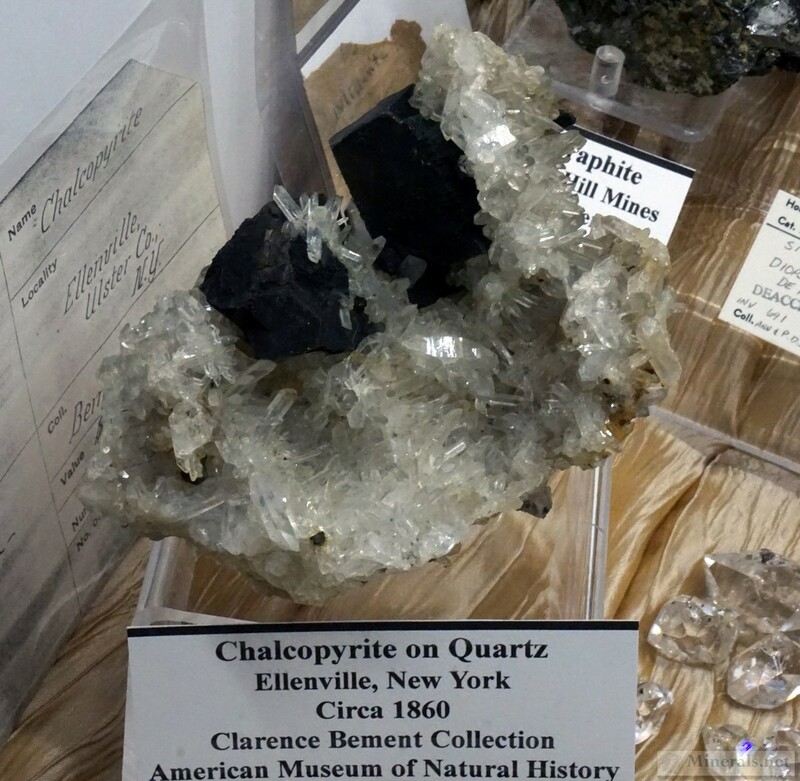 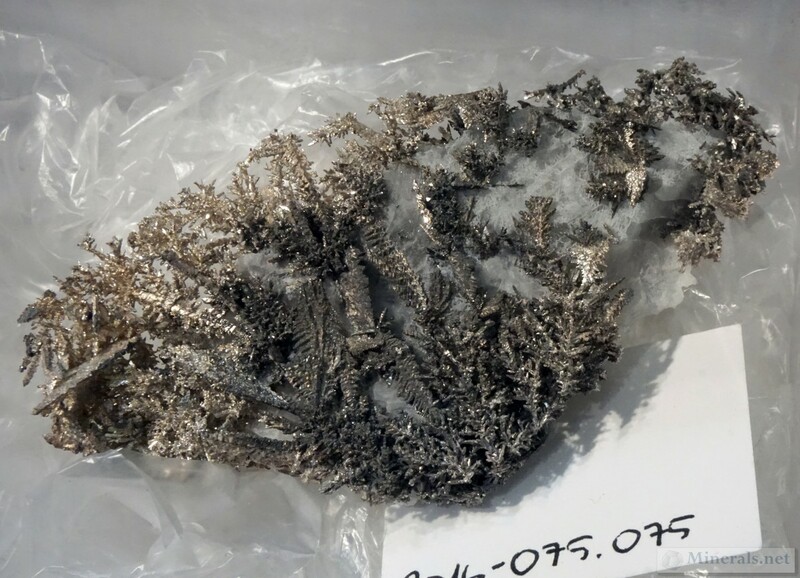 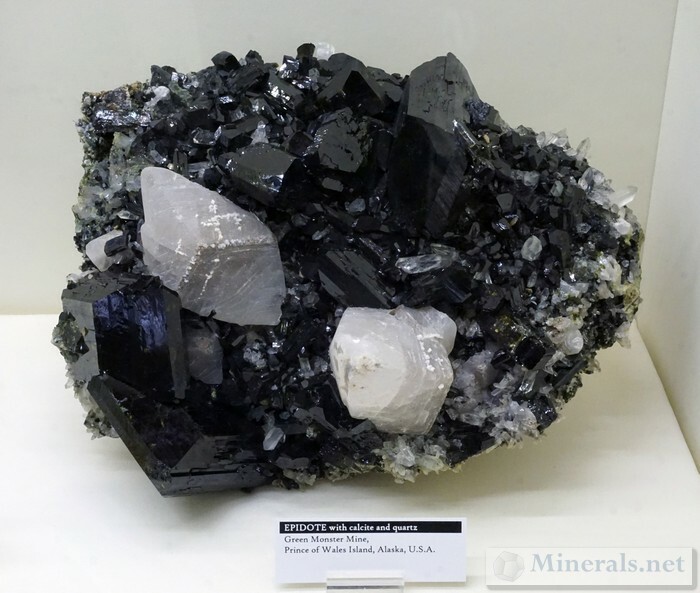 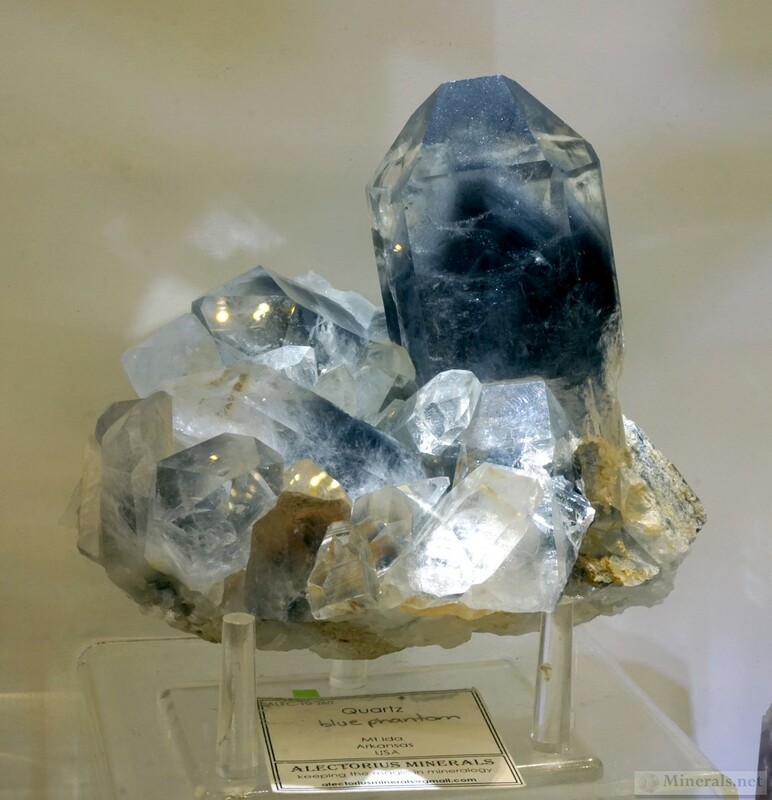 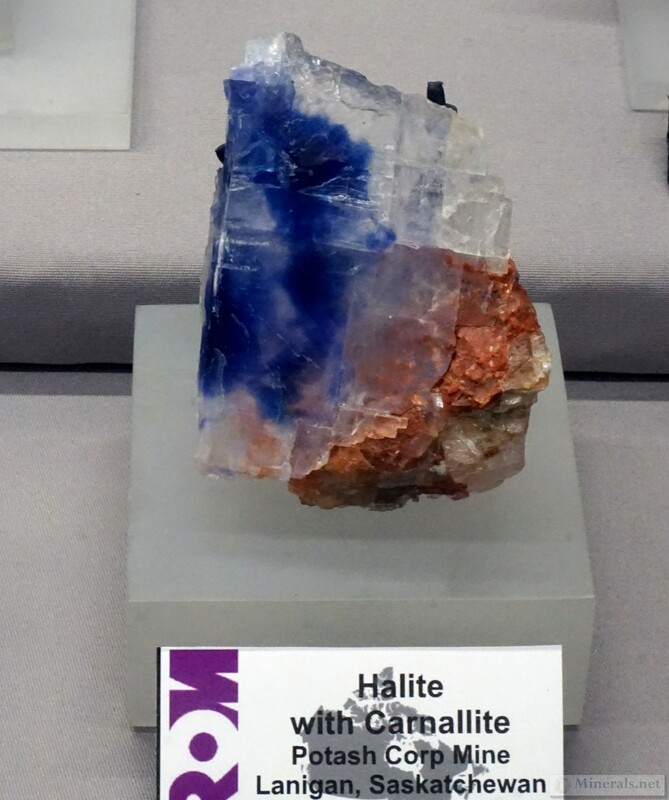 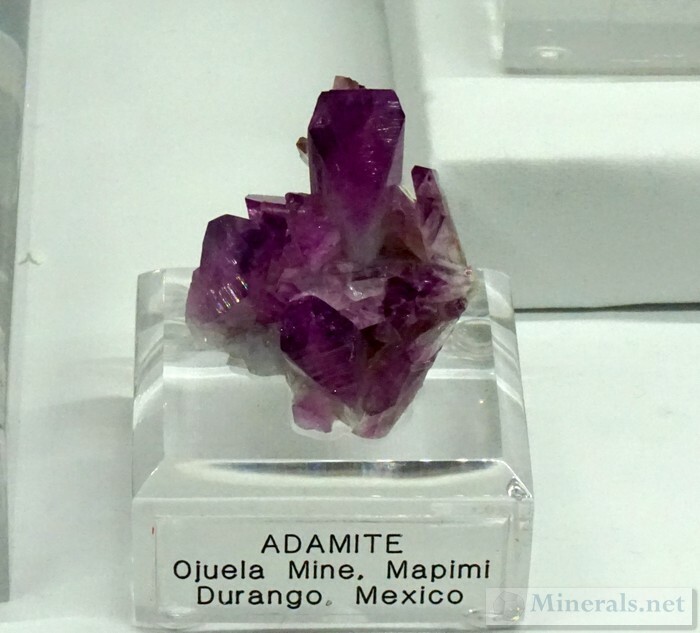 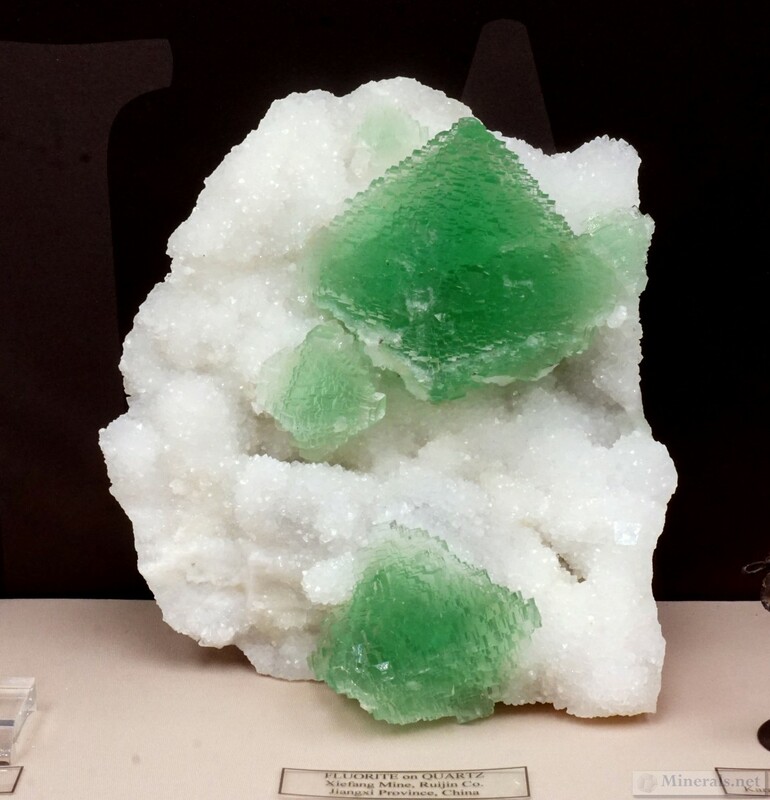 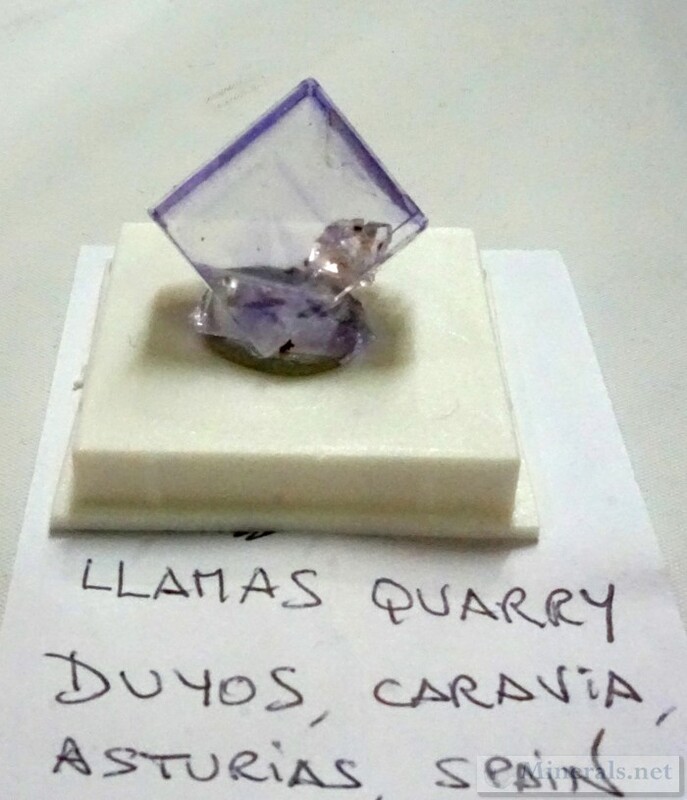 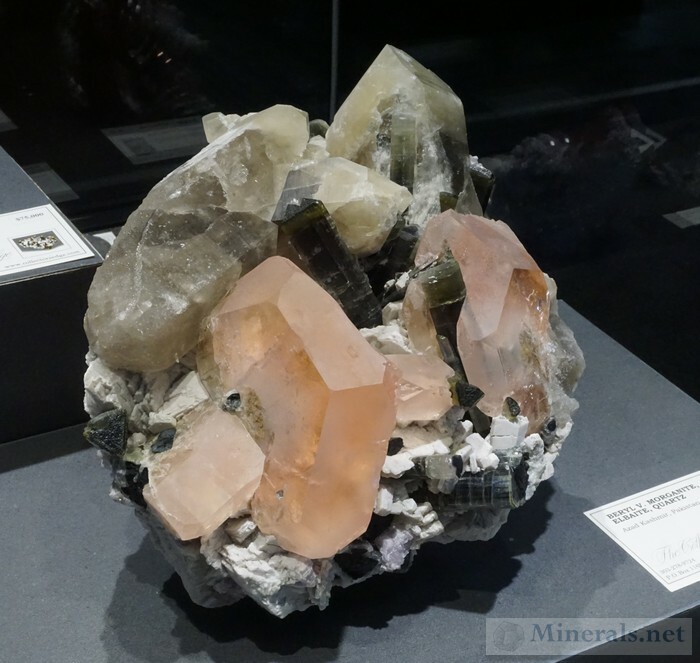 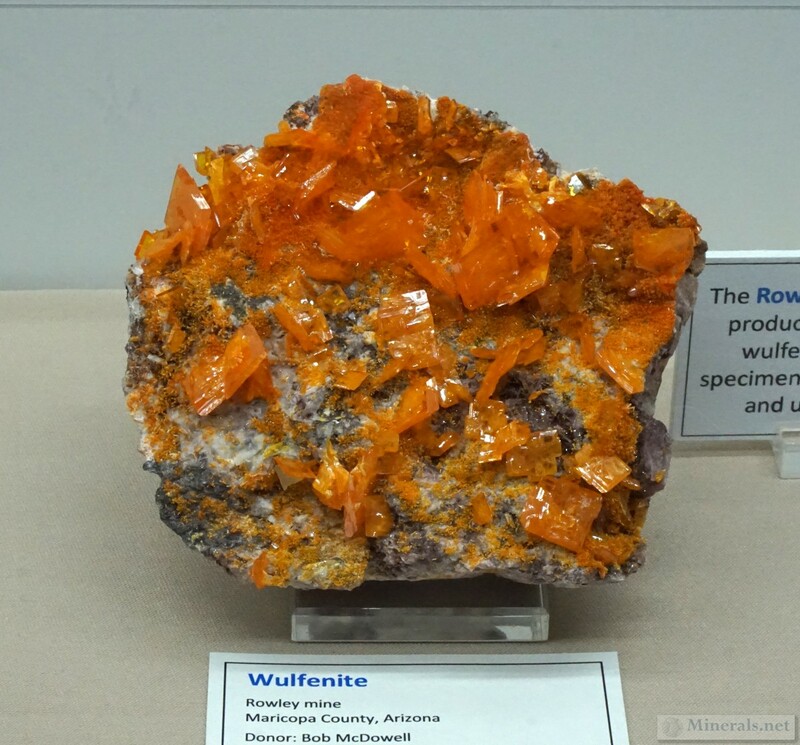 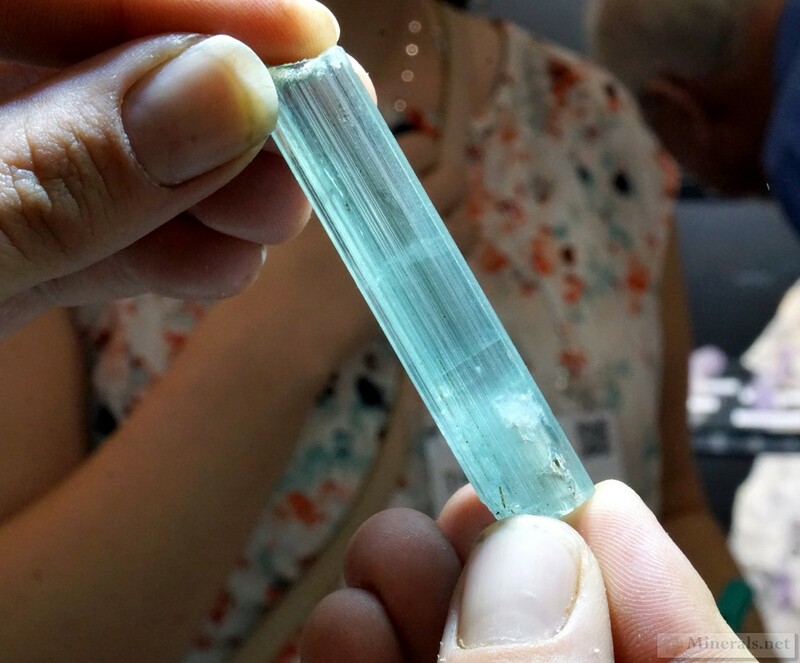 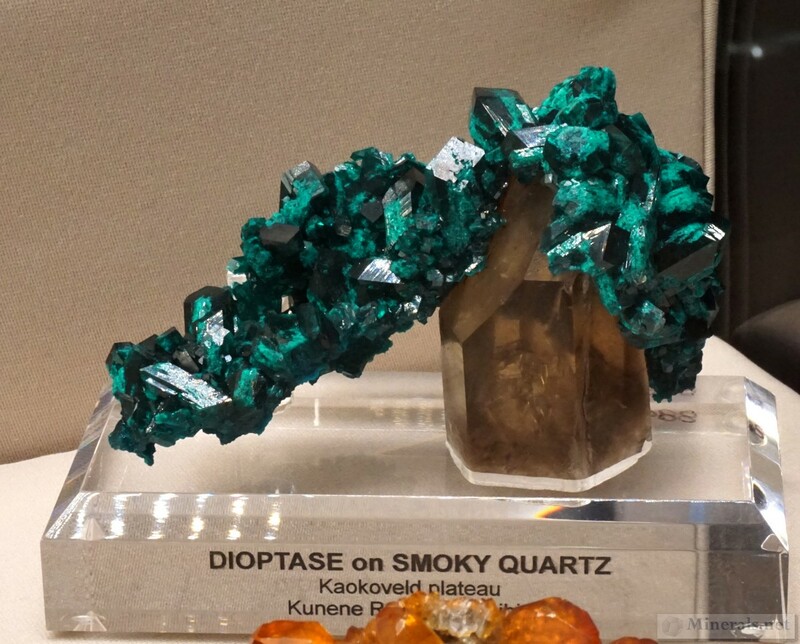 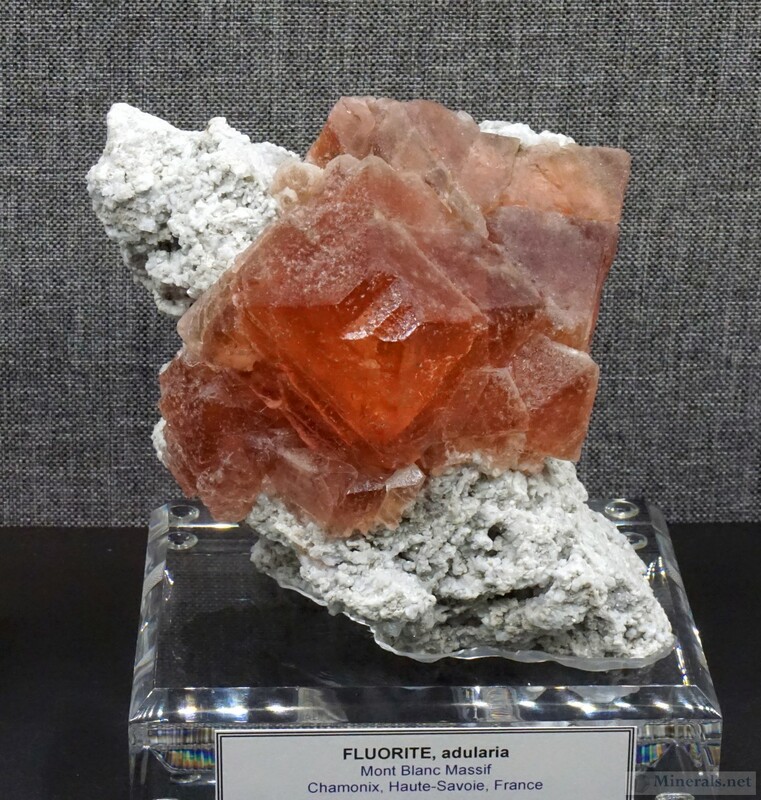 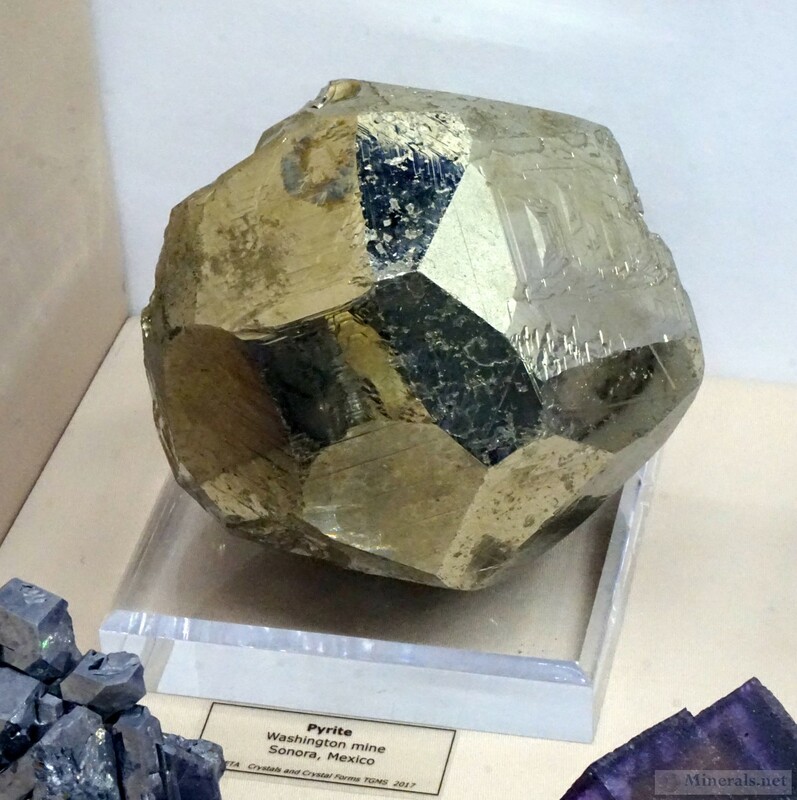 This is our second post on the The Tucson Gem & Mineral Show® non-themed minerals. 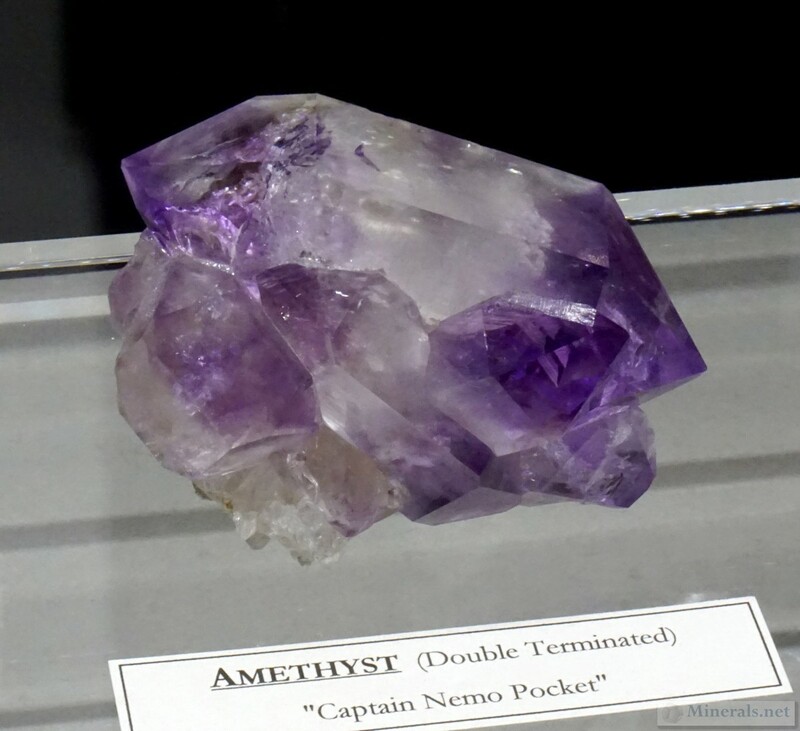 This is the last post of the public displays. 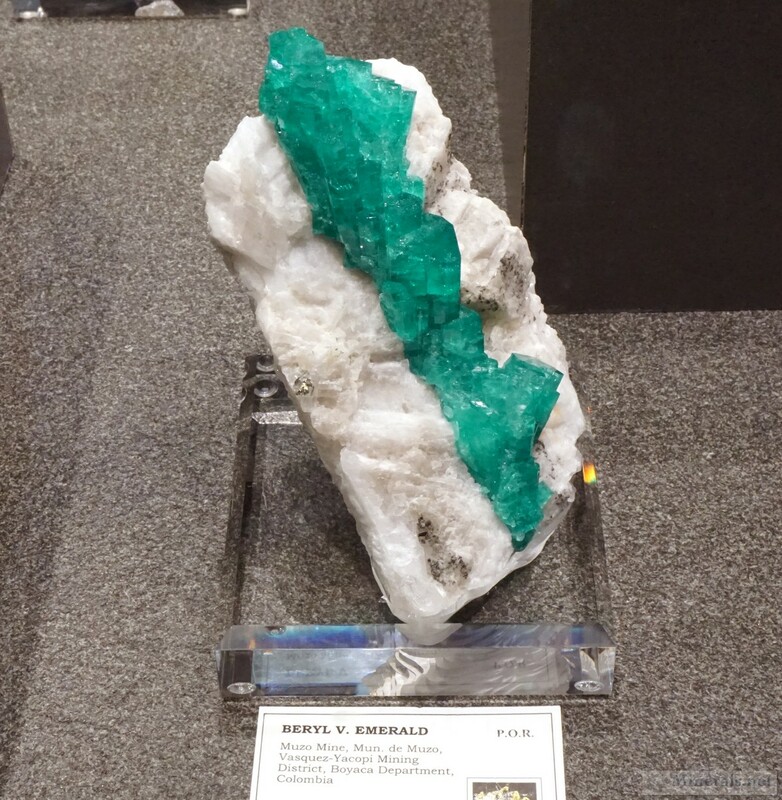 Our next post will feature some new and interesting material that dealers had at the show. "The One's That Didnt Get Away"